1. BURGEE. 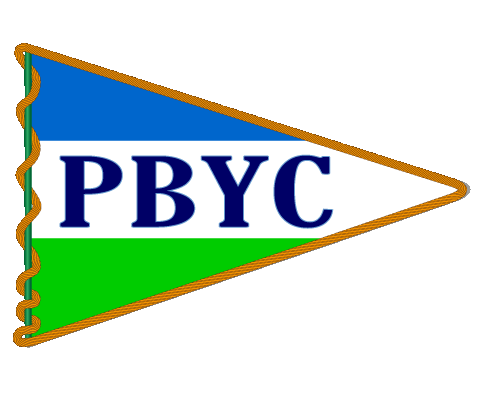 The burgee of the club shall be a pennant depicting our area’s gulf water, white beach sand and blue sky, with the letters PBYC in the foreground. No more than one household member may serve on the board at any one time. 3. VOTES OF THE EXECUTIVE COMMITTEE. Having constituted a quorum, at least four officers must be present or in attendance by telephone to vote on a motion, motions shall pass if they receive a simple majority of all officers present or in attendance by telephone plus proxy votes if any. Tie votes become tabled, or require continued discussion, or are delayed until more officers are present. Officers who are unable to attend may vote by written proxy to the Secretary with copy to the Commodore. Delivery by electronic mail to the Secretary with copy to the Commodore shall meet the requirements of a written proxy. 4. ELECTION OF OFFICERS. Officers shall be elected at the regularly scheduled meeting on the second Thursday in November of each year. 5. TERMS OF OFFICE. Club officers shall serve for the period January 1st through December 31st. 6. EXECUTIVE COMMITTEE MEETINGS. The Executive Committee shall convene a regular meeting once a month at a time and place mutually convenient to the Executive Committee members. All regular meeting times and places shall be noted in the newsletter prior to each meeting or by five days notice on the Clubhouse bulletin board and website if available. Executive Committee Meetings are open to any club member who wishes to attend as a silent observer. Presentations may be made to the board by prior arrangement with the Secretary. At the discretion of the Commodore, emergency meetings can be called at any time and votes at that meeting shall observe the rules of article 3 and if possible the notice requirements of article 6. 7. QUORUM OF EXECUTIVE COMMITTEE. Four (4) Executive Committee members shall constitute a quorum for the purpose of transacting business of the club. their intention, including naming the desired office. The names and addresses of persons seeking office shall be published in the October, If submitted before the October newsletter deadline, and November newsletters. Nominations for office shall not be accepted from the floor at the November general membership meeting for any position that has at least one nominee who has submitted her or his name to the Secretary by November 1. Nominations may be submitted from the floor for positions having no nominees. Nominees for board positions shall be limited to no more than one from any member household. 9. COMMITTEES. The Executive Committee shall be empowered to appoint committees as necessary and delegate authority as is vested in itself as set out in these Bylaws. COMMODORE. The Commodore shall assume general leadership over all activities undertaken by the club to include but not limited to: presiding at meetings of the Executive Committee and general membership, steering club direction, lobbying for change and improvement in club circumstances, and using his/her club history and experience to guide new and younger members. VICE COMMODORE. The Vice Commodore shall provide oversight of the clubhouse bar operation and bar account, and as delegated, perform the duties of the Commodore. REAR COMMODORE. The Rear Commodore shall organize social activities associated with club sponsored events, and maintain liaison with other yacht clubs and associations as required. SECRETARY. The Secretary shall record minutes at meetings of the Executive Committee and general membership, maintain the official club membership files to include receipt of membership monies, dues invoicing and tracking, and related communication with the membership, and perform other administrative duties as required. TREASURER. The Treasurer shall manage the general account financial records of the club to include depositing monies received from the membership, from dues, from Spreader Ads, and from any other related source of income which the general account finances. 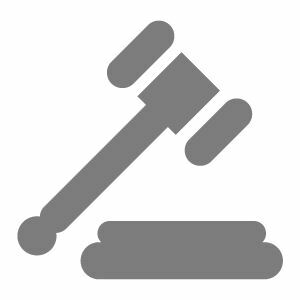 In addition, the Treasurer pays all invoices, recurring or non-recurring related to non-bar activities of the club. FLEET CAPTAIN. The Fleet Captain shall schedule and organize regattas in compliance with governing rules and regulations for sanctioned racing events. 11. VACANCIES IN OFFICE. Any vacancy in the office of the Commodore will be assumed by the Vice Commodore. Vacancies in other offices shall be appointed by the Commodore with the concurrence of a simple majority of the remaining board members. Appointed officers shall serve until the regular elections in November. 2015 are payable on June 1 of each year and must be paid in full by July 15. Payment can be made by check, cash, or credit card. The schedule of annual membership rates will be as periodically proposed by the Executive Committee, and thereafter as voted on and approved by the general membership with a 3/5 majority of those voting in person or by proxy in the affirmative but in no event shall a measure carry with fewer than 30 “yea” votes. Dues for persons who are approved for new membership by the Board after June 1, 2015 shall be payable in full on the first day of the month following the meeting at which they were approved by the board and that date shall become the anniversary date for payment in full each year. Such payments are granted the same 45 day grace period as for those who retain the June 1 anniversary date. New members are accepted by a majority vote of the Board after the applicant’s name(s) is/are published in the Club newsletter for comment from the general membership. Any member whose dues are not paid in full after the 45 day grace period without prior arrangement of the Board shall be assessed an additional $105 initiation fee for that member year only. Members who do not either apply to the Board for special dues payment treatment, or do not pay their dues and penalty (as above), by 60 days past their anniversary date shall be considered disinterested and will be lapsed and will need to reapply for membership with payment of the full new member initiation fee as set by the procedure above for voting in dues and initiation fees. 13. GENERAL MEMBERSHIP MEETINGS. Unless changed by notice in the newsletter by the Executive Committee, meetings of the general membership shall be held on the second Thursday of the months of February, May, August and November each year at such time and place as designated by the Executive Committee. Special general membership meetings may be called at the discretion of the Commodore upon seven days notice on the Clubhouse bulletin board and website, if available. The notice shall include the purpose of the meeting. Motions may be made from the floor after old business of the board has been completed. A simple majority of attending voting members (not including the board) shall carry any motion for consideration by the board and oblige the board to respond at once, or take the matter up at a separate meeting for consideration. Under no circumstances shall the majority floor action supersede board authority on any issue. Except where inconsistent with these Bylaws, Roberts Rules of Order (current edition) shall govern membership meetings. Proposed amendments to the Constitution and By-Laws. Upon a member request, an abbreviated version of the newsletter will be mailed to a designated address. 15. CONTRACTS. A quorum of the Executive Committee may authorize any officer or Officers, or agent or agents of the corporation, in addition to the officers so authorized by these By-Laws, to enter into any contract or execute and deliver any instrument in the name of and on behalf of the corporation, and such authority may be general or confined to specific instances. 16. APPROPRIATIONS AND DISBURSEMENTS. All special and non-recurring appropriations of the club’s funds from the general or bar account exceeding $200 shall require a majority vote of the Executive Committee. Routine recurring account disbursements for clubhouse and bar operations shall be made by duly authorized officers without Executive Committee vote. 17. APPLICATION FEE. The schedule of Application Fees for new and returning members will be as proposed by the Executive Committee and as voted on and approved by the general membership with 3/5 majority of those members present or voting by proxy, voting “yea” but in no event shall the measure carry with fewer than 30 “yea” votes. Any outstanding account balance due the club by a returning member must accompany the application fee. Application fees shall be applied to the building fund. 18. ASSESSMENTS. The Executive Committee may assess fees for club activities from participants to partially or fully defray costs associated with such activities. REGULAR MEMBER. A household of one (1) or two (2) persons who have an interest in boating, and who have been sponsored by two (2) regular members. A membership constitutes a primary named person without regard to marital status and one additional named person of legal age who resides full time with the primary named person to enjoy all privileges of membership. Such designation must be made at the time of new member application to the Secretary. The household membership is entitled to one (1) vote in club affairs and may nominate one household member only to serve on the board at any one time. Applicants for Regular Membership shall apply in writing to the Secretary of the club giving such information, as the provided application form shall require. Such application shall bear the signature of two (2) sponsoring Regular Members and shall be accompanied by an application fee. Applicant’s names shall be published in the monthly newsletter. The Executive Committee shall vote to accept or deny applicants for membership at the Executive Board meeting the month after the applicant’s name appears in the newsletter. If during the club fiscal year, a couple sharing a household membership decide to take up different permanent residences, both shall be considered members until the end of the fiscal year and both shall be entitled to renew as an ongoing member at the end of the fiscal year with separate membership payments. SINGLE MEMBERSHIP Any unmarried person over the age of 21 who wishes to apply for membership for themselves alone to exclude all other persons, if any, with whom they may share a domicile may do so at a reduced annual rate equal to 75% of the current membership for couples as described above. Single members have all of the same privileges as regular members except they may not regularly bring members of their own domicile as visitors to avoid paying the regular member rate. f) May park in the Sabine Marina parking lot at no cost (space available basis). JUNIOR MEMBER. Anyone who has an interest in boating, who has been sponsored by two (2) members of PBYC and who is under the age of 21. Applicants for Junior Membership shall apply in writing to the Secretary, using the Junior Membership application form which must contain the signature of two sponsoring PBYC members. The applicant name will be published in the newsletter and thereafter voted upon by the executive committee. Privileges and restrictions of Junior Membership shall be as outlined in the Junior Organization By-Laws which must be approved by the executive committee. Junior Members may not vote or hold office. Reprimand/Expulsion. The Board, by a majority vote, may reprimand or expel a member for unbecoming conduct or actions contrary to the purposes or Bylaws of the Club. Visitors may enjoy the privileges of the Club only for a reasonable number of times in any one calendar year. For purposes of this section, the term “visitor” means a nonmember who is granted access to the privileges of the Club on a prearranged invitation from a bona fide member in furtherance of the Club’s activities and purposes. Visitors may remain at the Club only as long as the member accompanying the visitor is present in the Club. The Board may amend this section from time to time without membership approval in order to comply with the regulations of the Florida Division of Alcoholic Beverages or applicable Florida or federal laws. HONORARY MEMBER. Anyone proposed by the Executive Committee. Honorary members, having been proposed by the Executive Committee, will be accepted by a majority vote of the members present at the next regularly scheduled general membership meeting. Honorary membership will be reviewed annually by the Executive Committee. Honorary members will share in all privileges of Regular Members, but may not vote or hold office. 20. AMENDMENT OF THE BY-LAWS. The by-laws of the corporation are to be made, altered or rescinded by a 3/5ths majority of the members present, including those who have tendered written proxy, at a general membership meeting following publication of such change in the preceding newsletter. This provision requires that in no event shall an amendment be passed by fewer than 30 “yea” votes. 21. CLUBHOUSE FUND. The clubhouse fund consists of the proceeds of the Morgan Keegan shares account and are owned by the donating members. .
22. BUILDING FUND. A building fund account exists for the purpose of acquiring a future facility for the use of the Pensacola Beach Yacht Club. In financial emergencies these funds may be accessed by a 3/5 vote of members present or voting by written proxy at a general member meeting, but in no event by fewer than 30 “yea” votes. The fund is built by application fees and any other funds, which may from time to time be designated by the Executive Committee. Term of service of all Advisors shall be intended to be a minimum of two years. Primary duties include, but are not limited to: 1.) audit of the accounting process and accuracy, including tax payments; 2.) comments on the fidelity of the racing and boating activities compared to the charter of PBYC as set down in its articles of incorporation; and 3.) conformance of Executive Committee activity to the PBYC By-laws. Consist of no more than 5, nor less than three members, including the Chairman of the Board, who shall normally be the current year’s Commodore. Other current Advisors shall not be officers of the current Executive Committee. Persons having previously served as Commodore, Vice-Commodore, Rear Commodore, Secretary, Treasurer, or Fleet Captain of PBYC shall be given preference; however, any club member may be elected. Advisors shall be nominated and elected by a unanimous vote of the full Executive Committee. Should any Advisor resign or otherwise vacate his/her position for any reason, the position will be expeditiously filled according to the provisions above. After one announcement in the newsletter, the nominee shall be seated as an Advisor, absent a sustained objection by any member of the club. Objections are resolved by a majority vote of the Executive Committee. The Advisors shall determine their own meeting frequency, but must meet at least once between January and July, and once between July and year end. At the minimum, the Board of Advisors shall present a report to the general membership at the May and November meetings.